Coffee in the Morning: How Do We Know That Our EdTech PD is Working? How Do We Know That Our EdTech PD is Working? We have four school weeks left until our Winter break. To say that it has been busy is an understatement. This is my second year as an administrator, and my first one as a Principal (yes, I am still the IT director too). I like to think that I have all of the answers (it looks good on paper), but every day brings new questions. I am being challenged in ways that I could not have anticipated, and things that I thought would be tough weren't. But, that is not what comes to mind while I write this. My good friend Andrew Schwab (@anotherschwab) has been in the forefront of EdTech for a while. He has an excellent blog (anotherschwab.com/)and podcast (rebootedpodcast.com/) about it. In his latest blog, he touched upon something that a few of us in our school district have been feeling of late. The approach to PD and especially EdTech PD is a wrong fit for what we want to accomplish. I believe that the majority of the PD does not truly address integration that support classroom strategies for all teachers on a level that is quantifiable. I make this claim, to point out that most EdTech and a lot regular PD just delivers content. There are minimal efforts, if any, to follow up on what happened in the classroom. How do you measure the value of the classroom targeted PD? We have all been in PD sessions, and have filled out the dreaded end of session self-reflection. If it is a self-reflection then why didn't they follow up with me about it, or more important why did I never go back and reflect on it in a week or two? As a teacher, I had to make sure that I had a lesson plan, and efforts were made to ensure that they were completed. There were formative and summative assessments that I could give during and at the end of the lesson, that would help guide my instruction. So, I ask all administrators out there. How do you know that the EdTech PD or any PD you provided is working in the classrooms of the teachers that attended? This is something that Alison Lopez (@alopezlg), another good friend and English teacher at Le Grand HS, have been discussing this last summer and during this last semester. Alison is our district's technology coach, and is a successful presenter and EdTech evangelist. 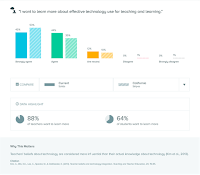 Over the last five years we have had the opportunity to use Action Research in Education to evaluate how EdTech PD is helping teachers and students in the classroom, and we have used Instructional Rounds to help us inform PD. This has helped us identify strategies that support our problem of practice and improve student learning at the higher order thinking levels. With the lessons we have learned about PD, Action Research, and Instructional Rounds, we decided that we need to think differently about how we approach EdTech PD with our teachers. We have decided upon the following to try out. We take time to go into the classroom to observer what the teacher is doing and what the task that the student is asked to do. This observation follows the IR protocol for observation. We then meet to determine what type of technology or tool can the teacher use that will support the strategies they are using and will support what tasks students are asked to do. We ask to meet with the teacher one on one to go over a couple of different ideas that will work with a lesson that they are going to use the next day/period, and how to use the technology. We schedule a follow-up observation. Lastly, we follow up with a survey to track what the teacher has to say about the integration and compare it to the observation. We try to follow the Action Research protocol through this process. 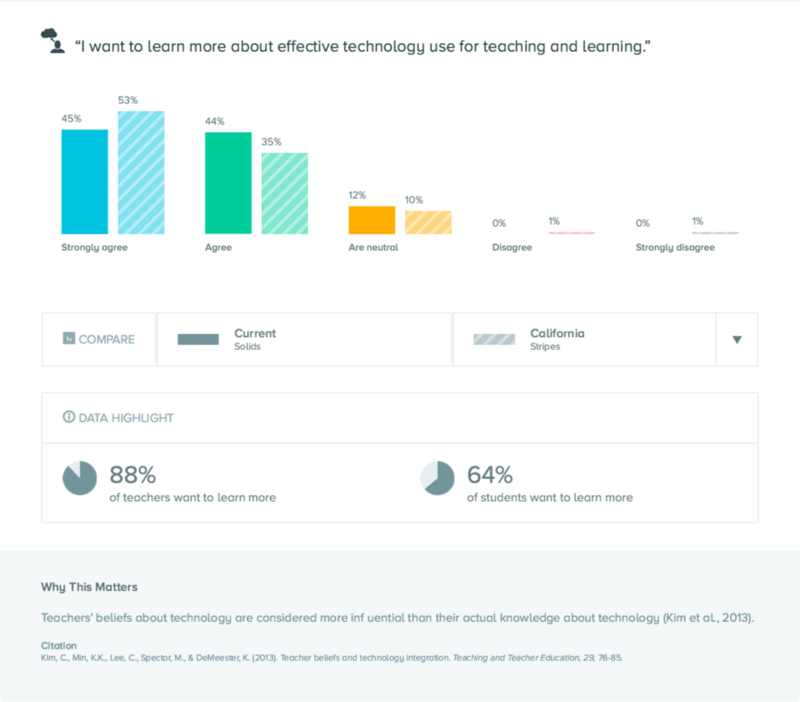 The process is time consuming, but the results are looking positive for getting teachers to practice teaching at the higher order thinking levels, with strategies that they are using, and with technology/EdTech that they can become comfortable using. We use Action Research to determine if this is working or if it is not, and as feedback to make adjustments to the application/integration of tech in the classroom. We just started this, but we already feel that this is the direction we need to go. 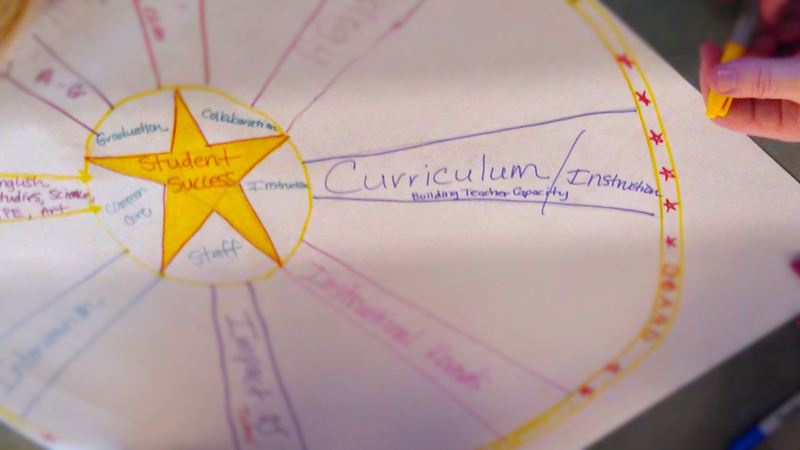 We know this is a long term process, so we will be relying on Instructional Rounds to continue to provide us with data about what students are doing and how strategies are working in the classroom and what strategies we need to focus more on. Lastly we rely on the data that Clarity, BrightBytes, provides us in terms of how tech is being perceived or used in the classroom. Again this process is a work in progress. Initial findings look positive, but we will be looking at this long term. We, educators, talk often about data driven decisions, and we are moving in the right direction. We need that same approach to EdTech PD and PD in general. We need to ask the same questions of our PD that we ask of our approach with Common Core. The most important question should be: How do we know it is working? Magboo, Mike Student Focused. 2015. Le Grand Union High School District, Le Grand.